Nintendo has announced their Nindies Spring Showcase for Spring 2018. The event will shine a spotlight on a number of upcoming indie games that are making their way to the Nintendo Switch hybrid console in the coming months. 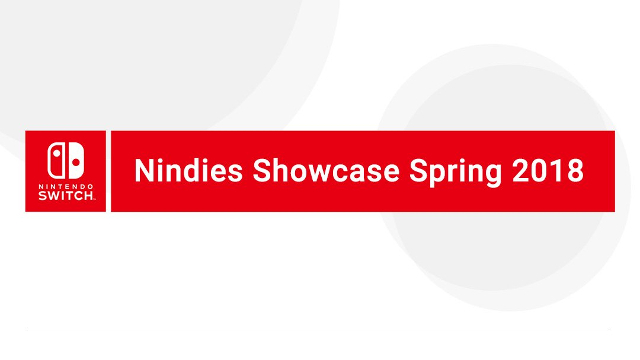 The 2018 Nindies Spring Showcase will be taking place on Tuesday, March 20th. As for what to expect, Nintendo is very tight-lipped on the matter, as they have given only the date and time for the event. They’ve sent out a press release and tweeted about the upcoming Nindies Showcase, but the press release has no more information than the tweet. Tune in 3/20 at 9am PT for a #Nindies Showcase highlighting the hottest upcoming indie games for #NintendoSwitch! As you can see, the 2018 Nindies Spring Showcase will get started at 9am pacific time (12pm eastern time) on the 20th. You’ll have to tune in to live.nintendo.com at that time to find out what new stuff you’ll be able to throw money at in the Nintendo Switch eShop in the coming months. So if you like indie games, especially on the go, then mark your calendar so you don’t forget to tune in on March 20th.